Inside, there’s a small team of folks trying their best to do a large amount of good in this small community, and a man, Gerry Siglow, who works hard to keep it all running. King’s Things, as it turns out, is much more than a thrift store. The store is a retail operation that funds the food pantry and benevolence fund administered by a board of directors that seeks to help the neediest members of the local community. 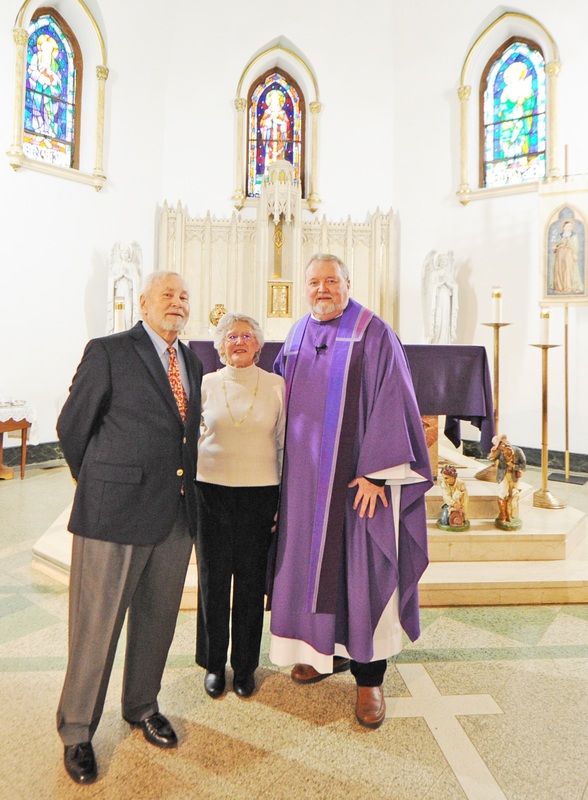 Siglow serves as the chairman of the board of King’s Things, which was incorporated 35 years ago by five area churches, including Saint Joseph’s, now part of Saint Clare of Assisi Parish. Siglow, a member of Saint Clare, describes the surprising success story behind the modest little store. King’s Things runs at a profit, one that supports several specific “missions,” perhaps most importantly, a food pantry that helps some 2,000 people a year. With decades of experience in retail management, as well as the mortgage business, Siglow knows how to run a business. Yet it takes more than business acumen to make all of this happen on a budget generated solely from thrift store revenues and the generosity of donors. Sometimes it takes small miracles. Not long ago, a family donated $1,000 to the benevolence fund, telling Siglow that they’d been helped by support from the fund when they were in financial difficulty. Now they wanted to help others. Siglow is clearly inspired by the everyday goodness he sees in the people who help and are helping at King’s Things. Siglow has a “black book,” as he calls it, with lists of agencies that can offer more regular help to those who might need it. And he’s quick to point out that the many volunteers who help keep King’s Things running come from several community churches. Help comes as well from area schools, public and Catholic, which collect donations of toys and food at Christmastime. And, of course, there is government oversite of the operation, taxes to be paid, fire inspections, and all of the details that are part of running any small business. Even though he’s officially retired, some weeks, Siglow admits, volunteering a King’s Things can be a full-time job. Siglow is the practical and cheerful sort. He sees his years of stewardship as a way of putting his life skills to work to help others. The giving at King’s Things reaches out in many directions, “like an octopus,” Siglow says, and reflects the generosity of the many volunteers and the creativity of those who now use their life skills to help others. Proceeds from the King’s Things are the wellspring for a benevolence fund that offers financial support to those in dire need. “We’ve helped people retain their electric service, heat their homes, head off evictions, and literally bury their dead,” says Siglow. He also coordinates a Christmas program that reaches out to more than 180 families, with “turkey or a roasting chicken, a poinsettia, food for a Christmas dinner, and food for a week.” Thanks to help from Christmas drives in local schools and churches, such as Saint Clare, children in the program each receive three to four gifts and senior citizens receive a gift, as well. And so Siglow continues to try to help others, relying as he puts it, on a few key living saints in his life, one of them, his wife, “Saint Barbara Siglow, who continues to put up with me.” And then there is “an angel, Father David Grover,” who allows the thrift store to use one of the garages at Saint Clare to store items destined for the sales floor. 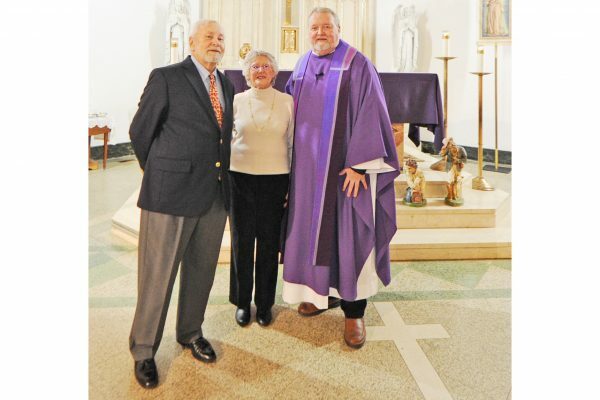 Father Grover is especially gratified at Siglow’s ability to influence others in the parish, drawing on kids in the community at Christmas and Easter. “He’s a good role model as a steward. He demonstrates how to be a partner to people who are in need, [and then] he brings other into service. “His stewardship of time and talent have been monumental,” he adds. The King’s Things is located at 1402 King’s Highway in Swedesboro and is open on Monday through Friday from 10 a.m. until 7 p.m., and on Saturdays from 10 a.m. until 4 p.m. The mission of the Office of Stewardship is to help Catholics to live out Christian charity in a sacrificial way that “we might understand the grace that comes from giving back from our blessings so that in all things God may be glorified.” For more information, contact Deacon Russell Davis at 856-583-6102.